Self Adhesive Image Books, with semi repositionable adhesive pages for quick and easy mounting of photographs. The clean cut look of these albums lend themselves well to a versatile range of uses from portraiture to portfolio presentation. The 12" x 8" is also perfectly suited as an alternative to a traditional wedding album. Standard sizes are 20, 30 and 40 sides. A deluxe padded upgrade provides for a much softer effect for a contemporary wedding album. Optional glass plaques can also be added to the front cover to include the bride and groom's initials or zodiac signs. This album is also available with built in two disc storage - see Combi Books for details. As a main wedding album, this is supported by the 9” x 6” and 6” x 4” image books for a matching package of parent and relative albums, at a consistent 3:2 ratio to avoid having to re-work prints. These clean cut albums also suit a wide variety of uses away from weddings, e.g. portfolio, landscape, art display, where a digital look is desired but with the higher quality of a hand made contemporary album. The semi repositionable pages give the reassurance of easily correcting any mis-alignment when mounting photographs, before setting firmly to protect your artwork. The 6" x 4" is also a favourite for family and baby albums. The range also includes 8" x 6" and 7" x 5" sizes, which are ideal for travel, boudoir or portrait prints. The 18" x 6" panoramic album is perfect for landscape photography, and can be made with either a side or top spine. 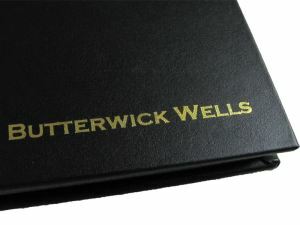 All our albums come supplied in a custom sized telescopic black presentation box, with an embossed linen pattern.